It was a typical day for employees at A.O. 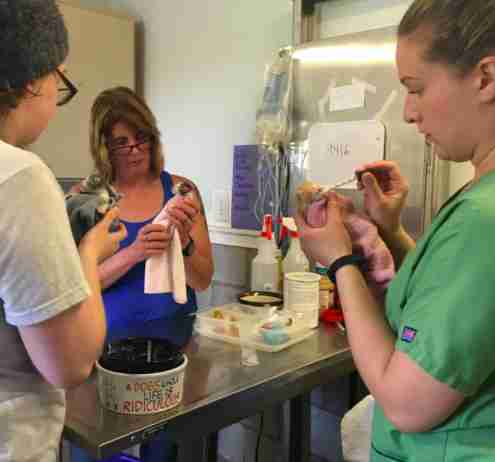 Fox Hospital in Oneonta, New York, last Wednesday — until they started hearing tiny cries echoing through the hallways. When employees went to investigate, they traced the noise to a women’s restroom, where an unattended bag was sitting on the floor. 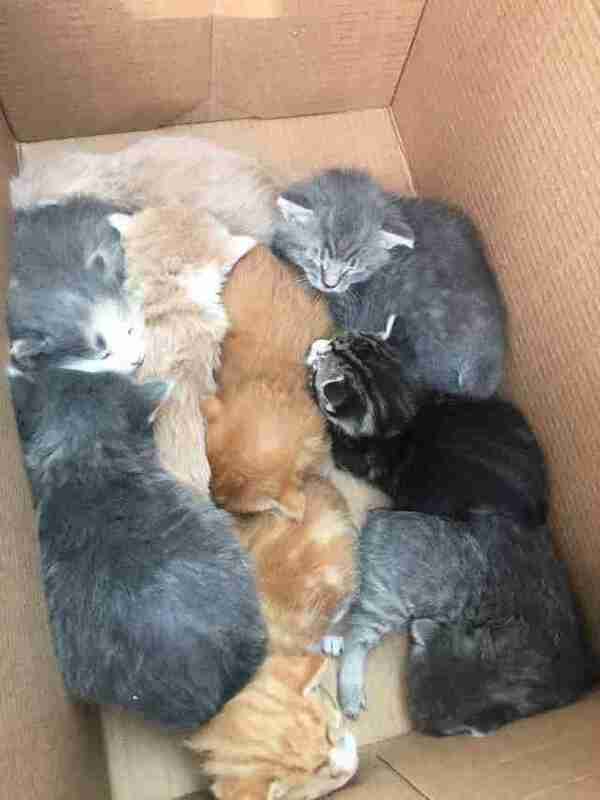 Inside were 19 very stressed and crying kittens, ranging from around 2 days to 3 weeks old. 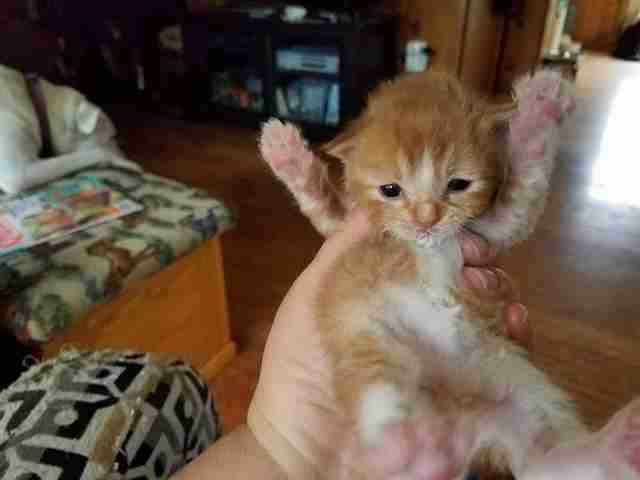 The youngest kittens still had their umbilical cords attached — and the workers immediately knew they needed help. No one knows how long the bag had been there, but fortunately, none of the kittens showed any signs of starvation or injury. The 2-day-olds were more than ready to be fed, however, as kittens this age require milk at least every two hours. Unfortunately, it’s fairly common for people to dump animals who are the result of accidental litters. 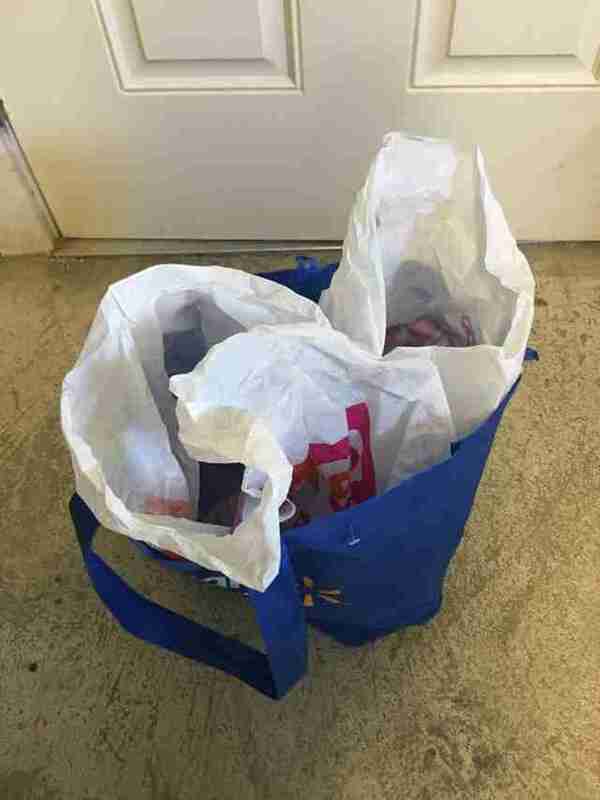 Daly can remember three specific cases the shelter took on last summer where people had abandoned animals in plastic bags in public places just like this one. It’s one of many reasons the shelter advocates for the spaying and neutering of pets, Daly said. There’s no word about who abandoned the kittens yet, but Daly is certain local police will be circulating security camera footage in hopes of identifying a suspect. Until then, the kittens are the main focus. To keep up with the regular feedings and care the youngest kittens need, the staff paired the tiniest litter with a stray mother cat whose own kittens’ were recently weaned. 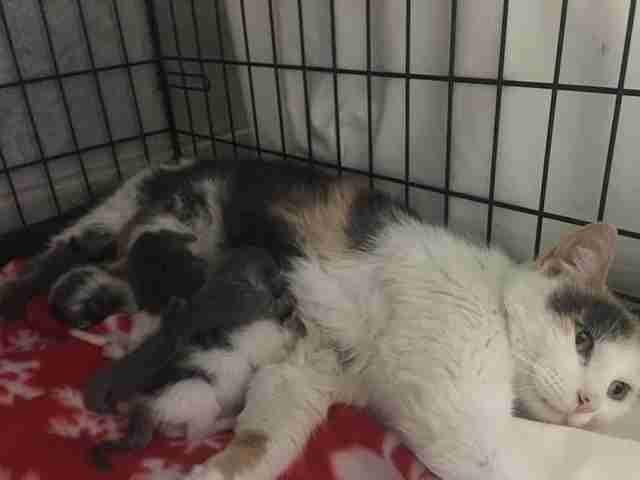 She adopted them as her own just a few minutes after meeting them. Now, the kittens from all the litters have been paired with siblings across seven different foster homes until they're each old enough to be weaned at 8 weeks old. Until then, they’re getting lots of care and tasty milk to make sure they grow healthy and strong. 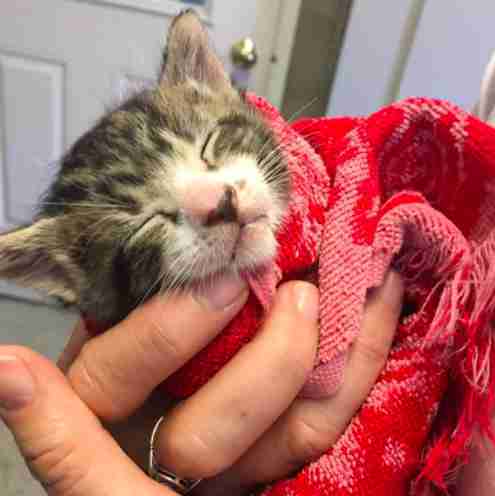 Snuggled into their warm blankets with cuddles and food around the clock, it’s clear the tiny kittens are already forgetting how tough their start at life was. And luckily, they’ll be nothing but loved from here on out. To help more animals in need, you can make a donation to Susquehanna Animal Shelter. For information about adopting, you can visit the shelter’s website.